Aluminium doors are the ideal solution for high traffic entrance doors for commercial & public buildings. Our aluminium doors are ideal for use in schools, colleges, hospitals, health centres & other public buildings. We offer a wide range of ironmongery options from standard PAD handles to architectural pole handles. Our commercial door systems can link to your intercom & entry systems making access control easier to manage. All doors are manufactured with enhanced security as standard and can be personalised to meet with your requirements. Aluminium is a low density metal yet extremely durable allowing doors to effortlessly open and close, creating a slender more modern appearance. Unlike other material choices available on the market, aluminium does not contract or expand in the heat or cold weather, ensuring your home stays both energy efficient and secure. Our Aluminium doors are Secured by design, a nationally recognised standard devised by police officers giving you extra comfort and security. Additionally our commercial door systems can link to your intercom & entry systems making access control easier to manage and most importantly heighten security. We offer a wide range of colours… in fact any colour your heart desires, from striking shades of bronze through brilliant reds and pastel blues to traditional white – with practically every colour in between. Our doors are powder coated, the natural choice when it comes to manufacturing Aluminium doors. Aluminium doors are made to measure, giving you the flexibility to create your perfect entrance space. When it comes to choosing the colour of your Aluminium Doors the sky is the limit. With 1625 RAL colours to choose from you really are spoilt for choice with JADE. 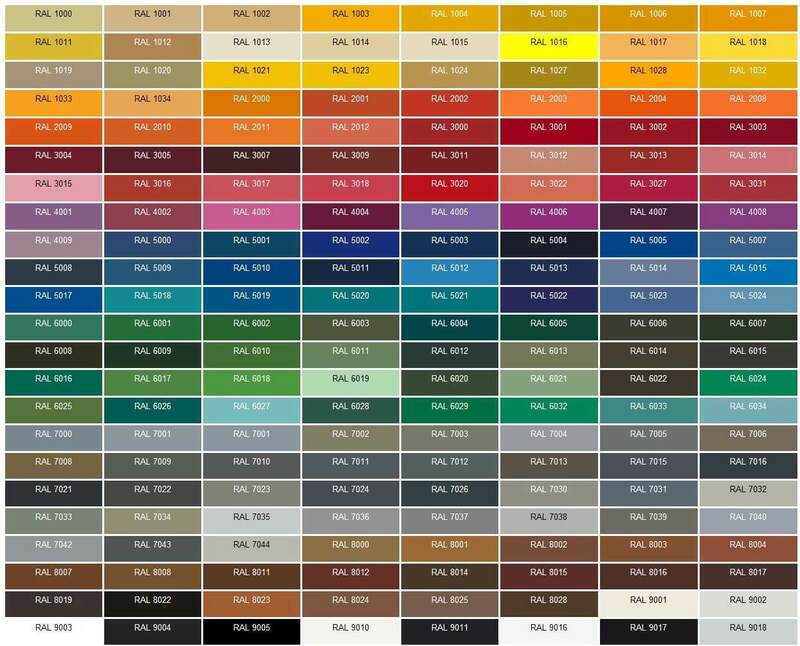 View the RAL colour chart HERE and pick the perfect colour for you.